In honour of Jack “King” Kirby’s birthday, I dug into a couple of long boxes to take a look at the King’s legacy. His entire career is legendary from the Golden Age on up. His pioneering work on every genre that was either popular or as a groundbreaking innovator are also the stuff of legend. I wanted to take a look at how the Kings creations, especially from the Bronze Age over at DC, grew in stature and importance to the overall DC Universe. I believe one man is responsible for the growth in awareness and in building upon the legacy that is Jack Kirby. And that man is John Byrne. John Byrne loved Jack Kirby’s work and really seemed to have an understanding of where Kirby may have wanted these characters to go. I did a read through of the 20 issue treatment of The New Gods that Byrne did in 1997.It was called “Jack Kirby’s Fourth World”. Heretofore known as JKFW. 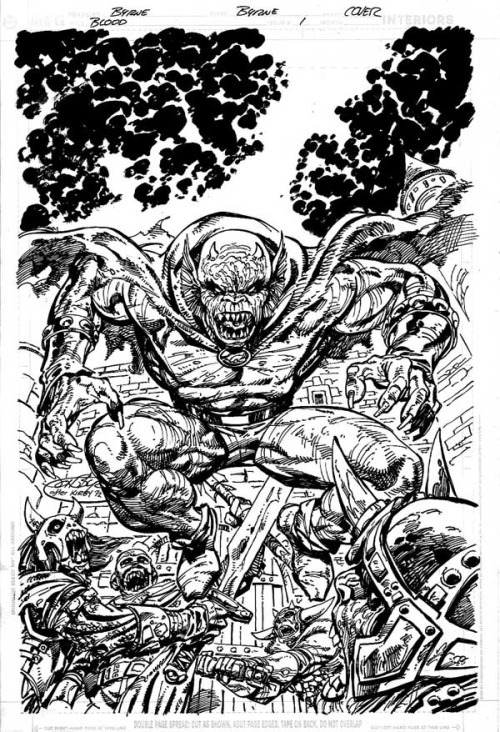 Byrne paid homage to Kirby in this series and was really able to grasp the scope and scale of the Fourth World Saga.He masterfully wove the many characters that Kirby created throughout his Fourth world, from Darkseid to Desaad, Granny Goodness and all the rest and put them together in an entertaining and enjoyable series. 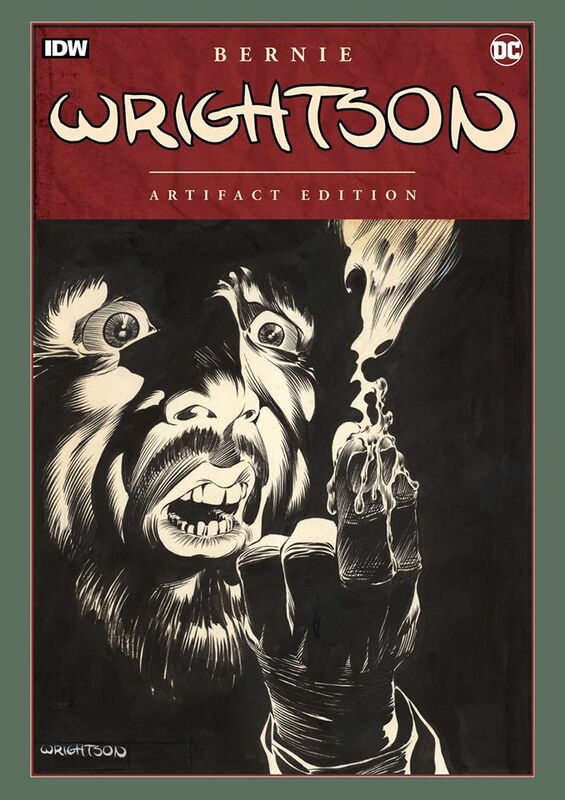 I am not going to reveal any spoilers in the 2 year storyline but if you haven’t read this series, may I recommend it as a pick up as we head into the Con season. Many of the vendors will sell VF/NM sets for a very reasonable price. 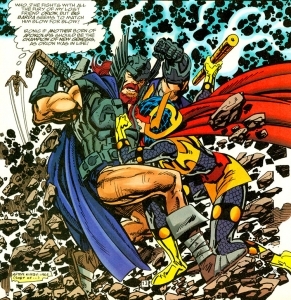 This series in many ways highlighted the parallel of the New Gods with Marvels Thor and Tales of Asgard even with a Tales of the New Gods back up story at the back of JKFW. Another interesting aside regarding this series is that Walt Simonson did every cover except issue 12. 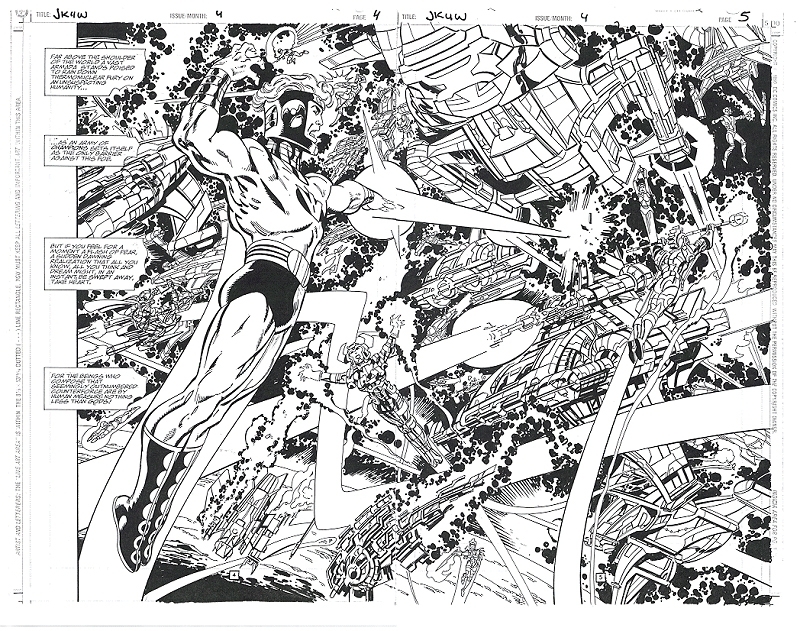 Walt Simonson is another artist who can capture the largess of Kirby’s worlds. 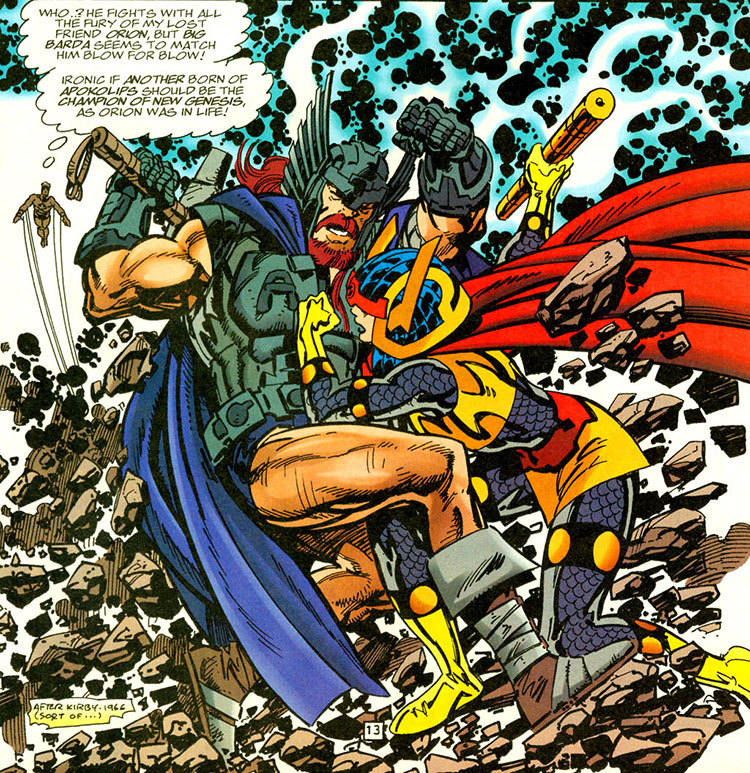 In 1991 John Byrne did a 4 issue Prestige format of Omac which was suggested for mature readers. A truly superb story and some of Byrne’s most impressive visual storytelling inked in a very unique look.This is by far my favorite treatment of Omac. Another gem you will be sure to pick up reasonably at a convention near you. 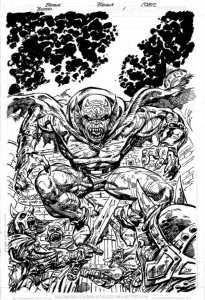 In 2005 Byrne did a seventeen issue run on Blood of the Demon. Another great treatment of a Kirby character that would reach out to a whole new audience.The storyline again brings in a great cast of unique Kirby characters with some truly exceptional storytelling by Byrne. Once again another run that is worth picking up at a Con near you. And who can forget his epic run on the Fantastic Four? Bringing this up now is a little off topic but how can you not mention this run every chance you get! I think John Byrne deserves a tip of the hat for not only keeping these characters of Kirby’s in the forefront of the comic buying marketplace, but that he also added an air of modernity to many of the Kirby stories that may not have been as well received by an audience that did not grow up with Kirby. I say this not to take anything away from Kirby’s DC work at all, just that the market place had changed and many younger readers may have had a hard time relating to the unique quirkiness of Kirby’s writing where with the gravitas of the Byrne name on these characters, helped open up the Fourth World to a whole new generation of readers. The place in which Kirby’s short time was spent at DC has grown to be a major part of the overall DC Universe in comics and on the movie screen. Thanks to both Jack Kirby and John Byrne for a universe of incredible characters. The King is still alive! Great article as I cut my teeth on Kirby’s arrival at DC in 1970 and as a 10 year old picked up everything he did there from Jimmy Olsen to Kamandi. And when he returned to Marvel in the summer of ’75 I picked up everything he did including a host of fantastic covers (Which is seldom mentioned) By 1980 I was in college and although the Fantastic Four had long been a favorite, I was starting to lose intrest…until John Byrne took over both writing and drawing and the rest was history! I too always felt Byrne picked up the batton that Kirby handed off and ran with it! It truly is amazing that one man created so many interesting and unique characters.I would think it is safe to say, that no one will ever match the creative output of Kirby, but it sure has been a joy to see the continuation of his characters by John Byrne , as well as others , and would it not be nice to see John Byrne once again take another run at the Fantastic Four.It is a shame that there is no monthly FF comic today.A shame. I don’t buy many books these days, but if Byrne did come back to work on the FF, I think I would buy multiples!!! I think a lot of us would! It is truly sad that the first family of Marvel comics is no longer a monthly feature at Marvel. I agree. And I don’t understand it either. Why not do a cheap reprint series for a dollar per issue, and let a new generation see what started the Marvel Silver-Age! What was up with the last run before it was cancelled?Dragon Man living in the Baxter Building and a school for “gifted kids”? No wonder it was cancelled. I know! It really got bad didn’t it? I kept buying out of habit as I picked up every issue since #100, year after year. I kept hoping for another John Byrne that would lift it back up to the glorious 80’s when he was so very good that even in my 20’s I’d look forward to the FF every month! I guess I’ll have to count myself in the minority here. I have always found Byrne’s art to be somewhat insubstantial. It certainly never had any of the heft that Kirby could put into a figure. But Byrne sure knew the history and back story of the characters like very few other F.F. writers have. His affection is evident in every story, even though some Philistines like me think his figures were insubstantial. Boy, talk about opening a can of worms. Even when I’m trying to be restrained I am often accused ob Byrne-bashing, but I can assure you I do find his work more compelling than many. many of his contemporaries., just nowhere near as dynamic as the King’s. No can of worms opened as far as I am concerned Mel. I am of the age that differences of opinion are not the end of a discussion ,but the beginning.No one is as dynamic as Kirby,nuff said! However as you say(John Byrne), his affection and knowledge of the material puts him head and shoulders above his contemporaries.Sounds like really no disagreement at all.Thanks for the comment! Byrne is a polarizing person and others have described him in many ways but never was there a more false recognition of Byrne than to describe him as being “insubstantial”. You don’t have to like Byrne but “Insubstantial” is simply the wrong descriptor. I have to agree with my buddy Mel…although no one can argue Byrne’s legendary contributions to the last 40 years or so of comics, his artwork is “insubstantial” compared to Kirby’s. Kirby’s artwork from the golden age through to his modern day work was consistently powerful and dynamic. Although cartoonish and unrealistic (hey we’re reading funny books here) they told so much of the story without dialogue. With Byrne, I feel his art started off as being dynamic and clean (with the help of Mr. Austin) it later became very rough (sketchy?) and (dare I say) lazy or rushed. Don’t get me wrong…he is a master storyteller with well laid out pages…and great pacing but… well…everyone kind of looks the same. Perhaps Mr. Austin contributed more than he given credit for…. One could argue the same about Kirby’s faces all looking the same, but I think he was able to pull it off because he was much more stylized. As for Byrne, all because you can do everything doesn’t mean you should…. I’m going to keep things simple .Kirby and Byrne both have something in common regarding their work overall. They were fun. Not everything was hit out of the park by either of them .We can list both stars and dogs for each one, but they both brought a lot of joy to us the comic reader. If you compare much of what is going on out there in the monthly comic world today, much of it is decidedly not fun and indeed “insubstantial.”it is rare indeed to have the same creative team on a story arc let alone for a year or 2 or 5 or 10. My report of FanExpo coming soon… stay tuned. What I meant by “insubstantial” is the fine lines and willowy figures that Byrne drew. The only “substantial” figure in Byrne’s F.F. was the Thing. Everybody else looks like you could knock them down with a feather. I still enjoyed his take on Marvel’s first family though. Don’t get me wrong. The trouble with bringing up Byrne’s failings (in my eyes) is that too many people interpret criticism as condemnation. The great thing about art is much like that often used saying”beauty is in the eye of the beholder.” To some Picasso would be insubstantial, to others he is brilliant. You say tomato, I say…. You, sir, are a gentleman and great moderator. These are the issues Comic Book Daily encourages in the readers…healthy debate and informative exchange of ideas. And…as for Picasso, that man knew how to call a tomato a tomahto. So if we’re talking style rather than the man, or his accomplishments… then I guess Ditko was the most “insubstantial” of them all. I think what we’re talking about now is how Charlie doesn’t like to be contradicted. Correct me if I’m wrong. If you can be specific and point out where I’ve contradicted myself, I can elaborate or admit I was wrong about something. Coming off his X works, Byrne started is FF run at #232. I wasn’t a big fan of his “willowy figures” either, but I remember reading somewhere that he was using Kirby’s early FF work as reference as kind of a homage. He even changed the Thing back to his initial lumpy self. Kirby on FF#1 is very different then Kirby on FF#52. Interestingly, Byrne had a short run on the FF prior to #232… I think it began at #220 but his work here is very different. I’ve always criticized Byrne myself for not taking Austin with him to do FF. Terry Austin complements Byrnes work nicely and I think his FF run could have been that much better. I didn’t say you contradicted yourself. I think you may have become too hung up on a word that you disagree with. I happen to think “insubstantial” is the perfect word to describe those willowy figures. You obviously don’t. Ergo, I am the one doing the contradicting. So shoot me. Mel, it’s all good. A lot of these artists have had good runs and bad. Personally, I think Byrne is Jack Kirby 2.0 because of his incredible body of work, commitment to the medium and their reach. Both their touch can be seen and felt everywhere…. including the movies. That’s what makes this write up from Dennis so appropriate. It doesn’t mean we have to like everything they do but I do think that Kirby has a leg up for being a father figure to comics. I don’t mean to nit pick over definitions…. I thought you were referring to Byrnes overall contribution. My apologies for the misunderstanding. John Byrne started drawing the Fantastic Four with #209 and ending with #221. 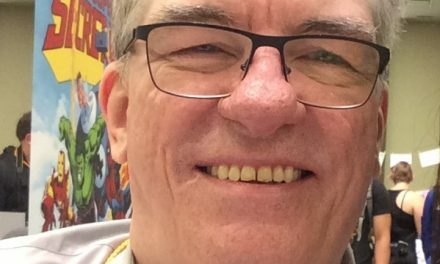 He wrote and drew issues #220 and 221. He did not draw #219 or #222-231. 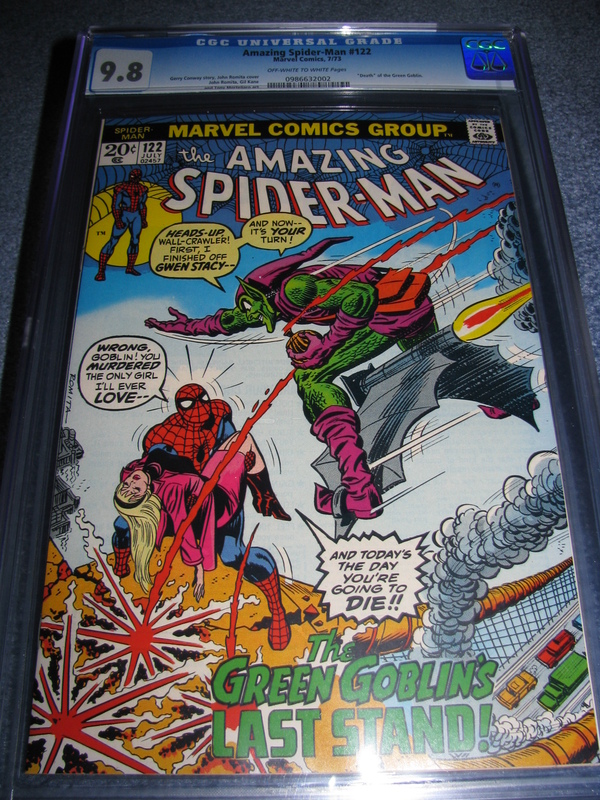 His time on the FF included #232 – 293 writing and drawing and writing 294 amd 295 . Annuals included: #17(Writing and drawing) 18 and 19 . I’m glad we finally cleared up the semantics buddy. Like I said…can o’ worms. I’m just glad we didn’t bring in John Buscema, Walt Simonson, Art Adams, Jim Lee, Mike Wieringo, Greg Land…well, you get the picture. Still the World’s Greatest Comic Magazine! Excelsior! For a celebration of Jack Kirby, this is a helluva John Byrne discussion. Kirby created entire genres and produced at a high level of quality, quantity and creativity for decades. Byrne was a solid, workmanlike creator for a fairly long time, but he never (to my mind) ever again created that kind of magic that he did on the X-Men in conjunction with Claremont and Austin. I remember anticipating every subsequent project…FF, Man of Steel, Alpha Flight etc … and being disappointed that it was just OK reading. I thought his second-best pencil run was on Avengers in the 180s-190s; did Austin ink that too? I was trying to point out the example of how Byrne introduced and kept alive the legacy that Jack Kirby created to a new and larger audience than Kirby did himself. I don’t think Terry Austin did the Avengers run by Byrne but if memory serves, he may have inked a couple covers. I don’t have those issues anymore.Can anyone else clarify Readcomix question? 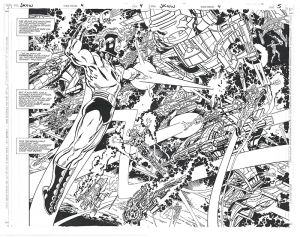 Overstreet only lists cover inks for Austin on Avengers 181,183-188 and 198-201. Thanks for the update on that Mel. I apologize Dennis, I totally missed that key sentence (your whole thesis!) on first reading. As to Byrne’s nifty Avengers run, its Dan Green. We often think about that second wave of great Marvel artists who came along in the early growth period (Adams, Starlin, Steranko, Trimpe, etc.) but the Bronze era also saw Sinnott joined by a raft of top-notch ikers … Austin, Green, Klaus Janson, Bob Layton jump to mind, but I may be missing some, I’m sure. Here I go rummaging long boxes again…..
Also Steve Leahiloa, Frank Chiaramonte,Tony Dezuniga,Crusty Bunkers,Alfredo Alcala come to mind as well. 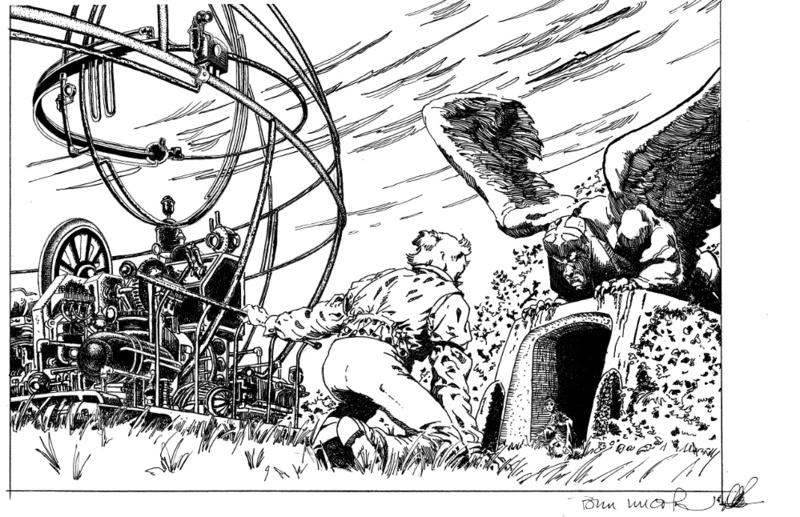 AL Williamson had also switched to almost straight inking in the Bronze Age as well.